Two Tone Stainless Steel Bracelet With Wire Accents | BUDK.com - Knives & Swords At The Lowest Prices! 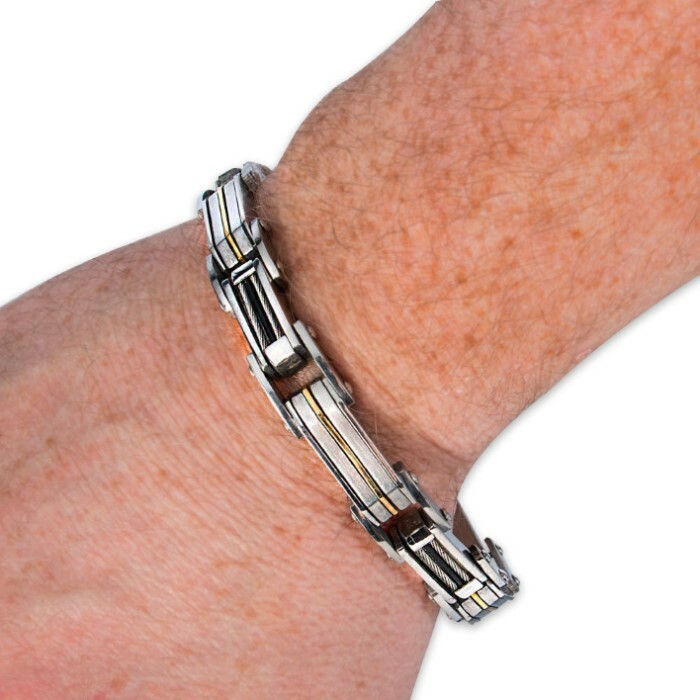 Add a stylish and sophisticated note to your attire with this attractive two-tone stainless steel bracelet. 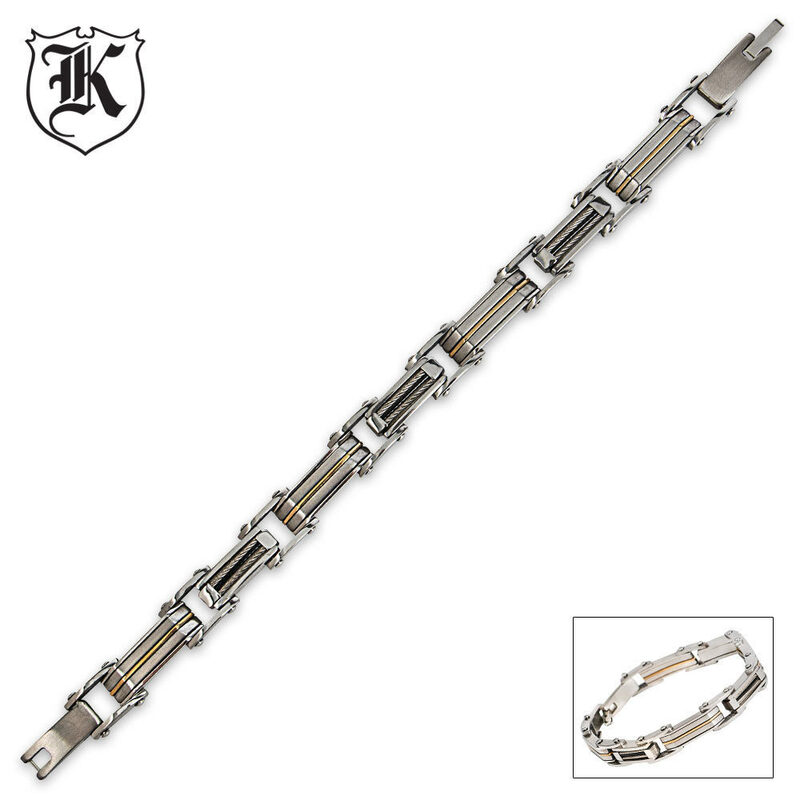 This unisex design incorporates a variety of textures in both a gold and silver-tone finish. It has a very fluid feel, so it's extremely comfortable on the wrist. 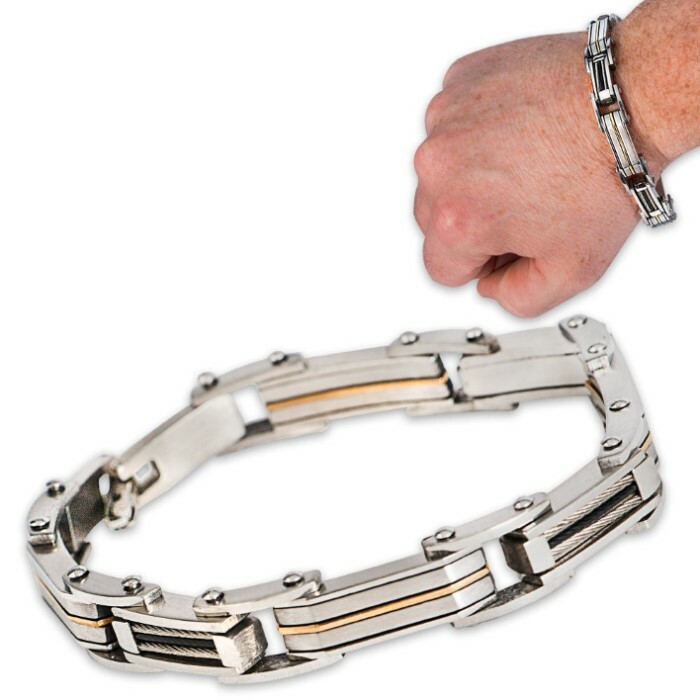 This bracelet has enough presence to get you noticed, but it's not overly bulky or heavy as to weigh down the wrist. It fits up to an eight-inch wrist.